It is high-minded to observe that any data program (data governance, master data management, data analytics, data modeling, etc.) requires a full partnership between business and IT. The real world is more mundane and far more demanding than that. 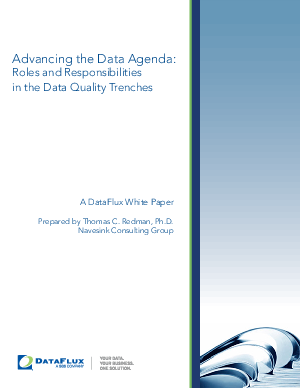 Indeed, success with any data program depends on getting the right groups involved and assigning the right people the right roles and responsibilities. This white paper, the first in a sequence, addresses the question, "who, specifically, are those right groups and right people?" on several different levels. It also highlights underlying principles that, properly applied, lead to solid answers to the "who" questions for a wide variety of scenarios.